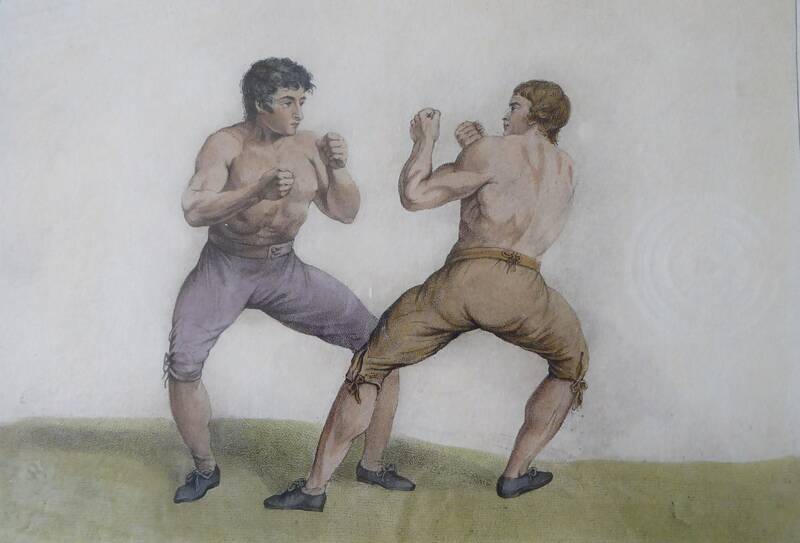 This is a lovely antique print - showing two boxers in an early boxing match between two celebrated prize-fighters. 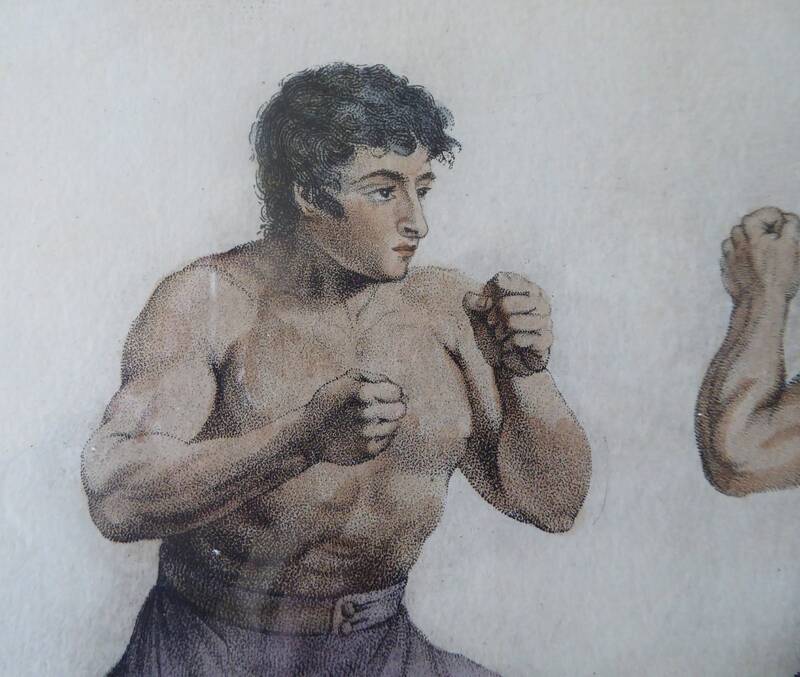 The print is a stipple engraving with all the lines made up of lots of very subtle and tiny dots - it was engraved by I Grozer after Charles Reuben Ryley (1752-1798). 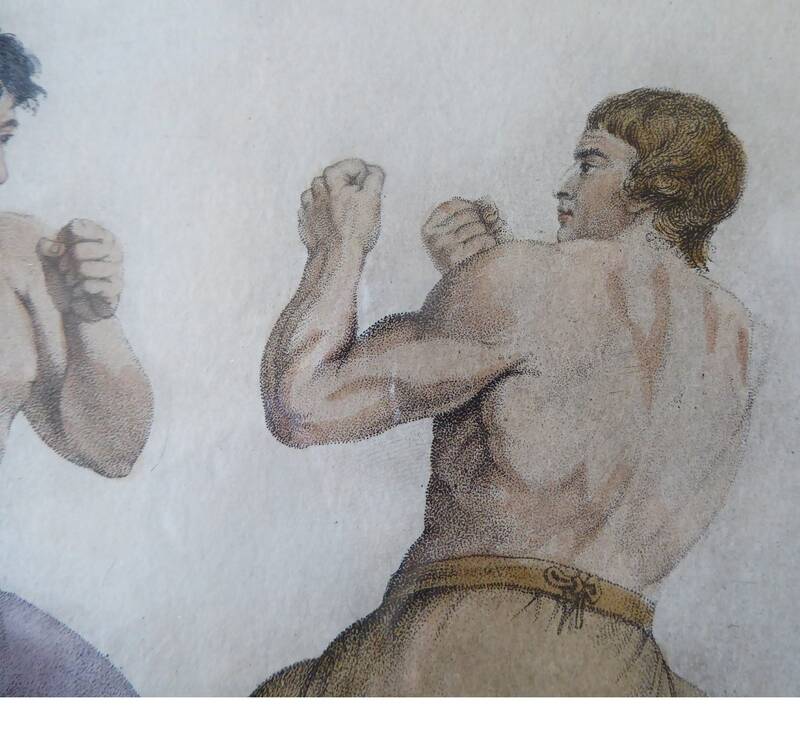 They are shown in isolation with the background blanked so that you can concentrate on the action and the poses of the boxers. 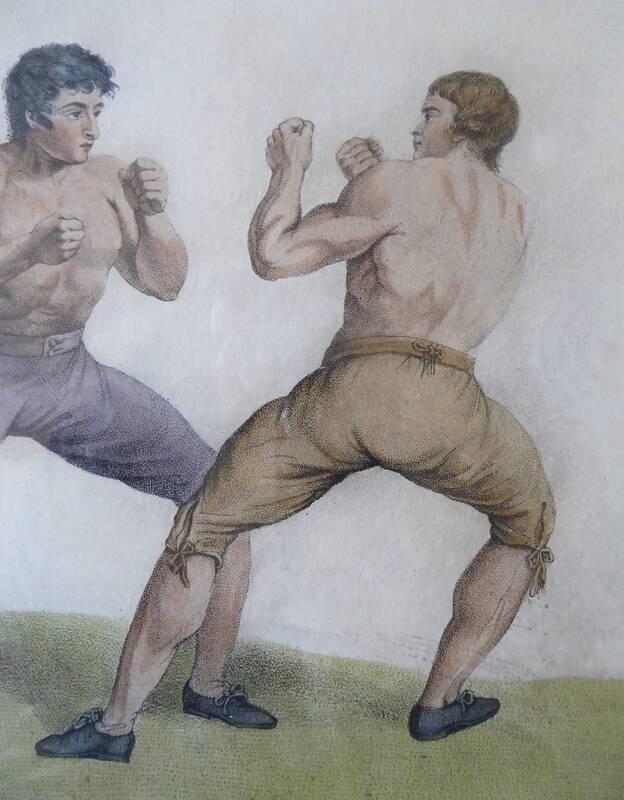 Other prints from this period show the boxers in the same pose - but with all the spectators forming a rather unruly crowd in the background - it was rumoured that some 6,000 people turned up to watch this bout. Published by W .Richardson, York House, 31 Strand. The print is in good condition - with no nasty stains or discolouration to the sheet. 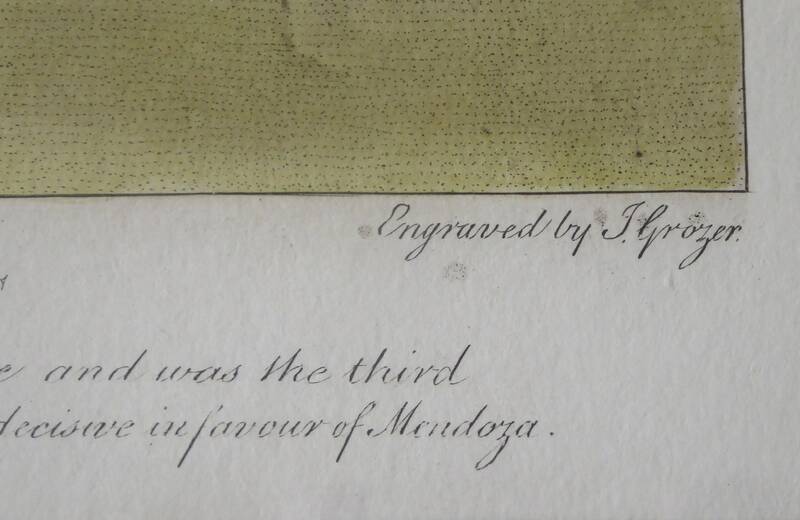 A lovely impression which is an original antique stipple engraving - which has been very sensitively hand-coloured. Frame size: 48 x 53 cm. The frame is an attractive matt black heavy wooden frame. The print is a nice example with fine printed details - the colouring is also most attractive and very sensitively rendered. 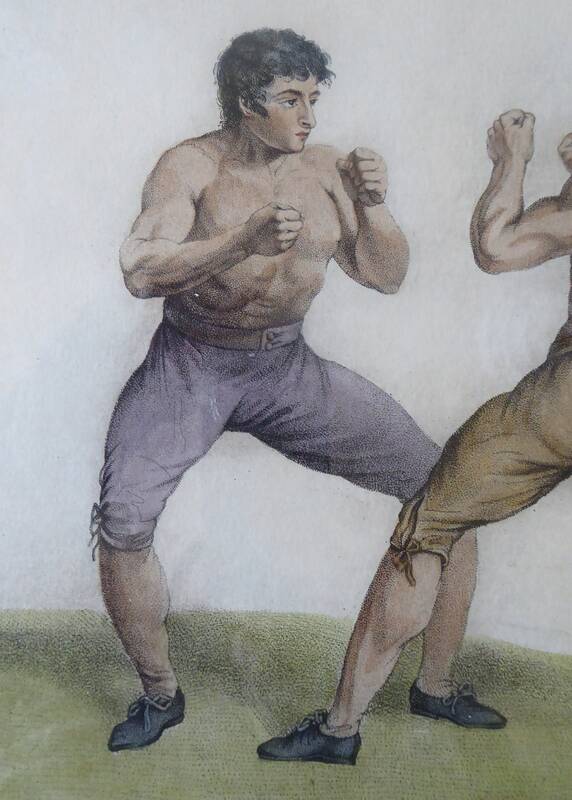 It is certainly highly decorative and an interesting historical document of one of the most celebrated boxing matches in Georgian England. 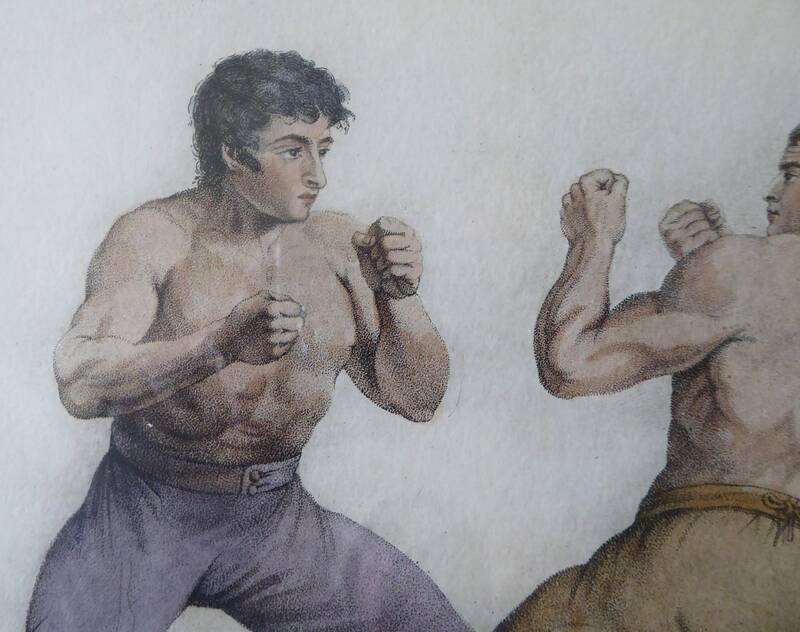 The background is washed with a pale yellow tone - this watercolour wash has not really come out in my photographs - so pointing that out for accuracy - it is not staining but the original watercolour additions to the print. It might have to have the glass removed from the frame to post outside of the UK - please enquire.